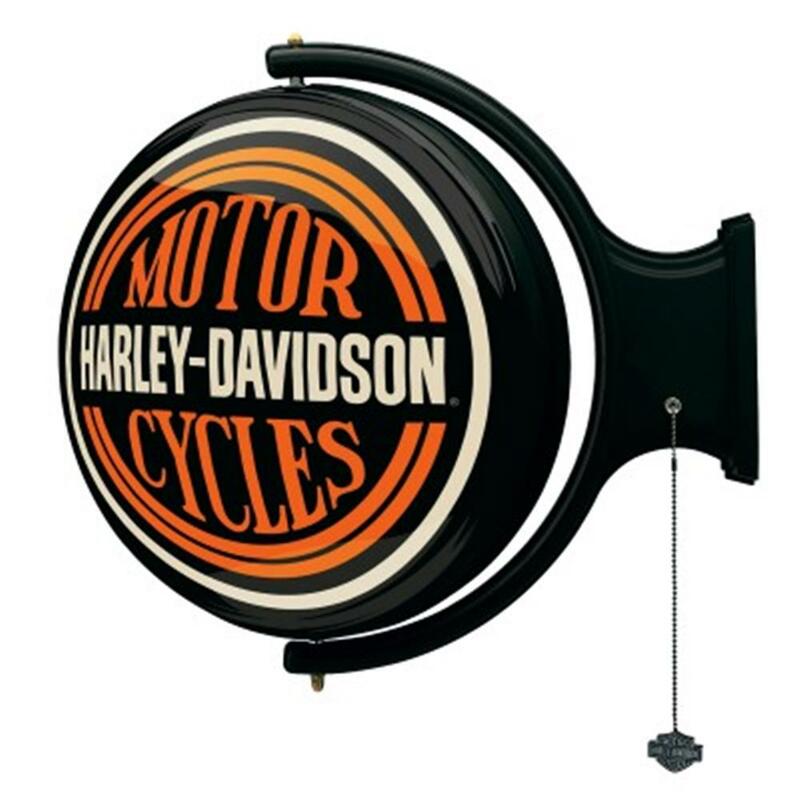 This Harley Davidson wall-mounted light rotates nonstop to display complementing and colorful H-D® Bar & Shield graphics on each side. A 12" fluorescent bulb creates a warm glow that is switched on and off by a zinc cast Bar & Shield pull chain, and power is supplied via an 8ft. power cord. Measures 23"W x 22"H x 8"D. Good for indoor or outdoor use!